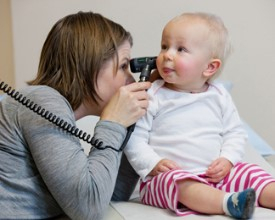 We provide comprehensive, low cost health services to residents of all ages in Northwest Colorado. We provide services on a sliding fee scale based on income; we do not deny health care due to financial limitations. Call us for more information: 970-879-1632 in Steamboat Springs and 970-824-8233 in Craig. Primary care, health screenings, women's health services and health insurance assistance at locations in Steamboat Springs and Craig, Colorado. Immunizations, programs for new moms, (WIC and Nurse-Family Partnership), disease prevention, emergency preparedness and Aging Well programs. Skilled, personalized care for individuals recovering from illness or injury at home in Routt or Moffat counties. Comfort oriented end-of-life care for patients with a life expectancy of six months or less in Routt and Moffat counties. Grief support for families and children. The Haven Assisted Living Center is a 20-bed facility in Hayden, Colorado. Respite care also is available.